Steel Truss Solutions WA is lead by a team of highly qualified partners who have been involved in Engineering, Fabrication and Construction for over 30 years. Their vast experience in all forms of engineering ensures the highest quality of production for our steel frames and roofing systems. Our company goal is to satisfy our customer’s needs and expectations either internally or externally with the supply of superior quality frames and roof trusses backed up with on time delivery. 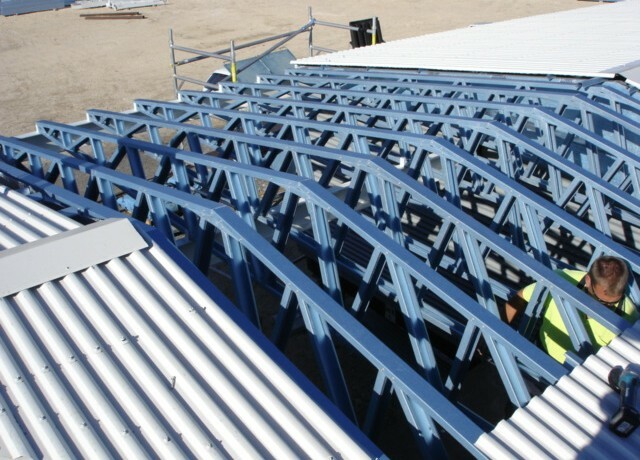 This is achieved by utilizing the latest steel roll forming and computer software technology which is superior to the previous methods of construction for steel framed buildings which required complicated assembling on site. Our commitment to safety is our highest priority. We are always safety conscious, protecting ourselves, the public and our fellow employees. We abide by all OH&S requirements and ensure we are always up to date with any new OH&S policies or procedures.